"Best theme ever! Has completely refreshed "Delimiter" in a great way. Everything a news site could ask for." 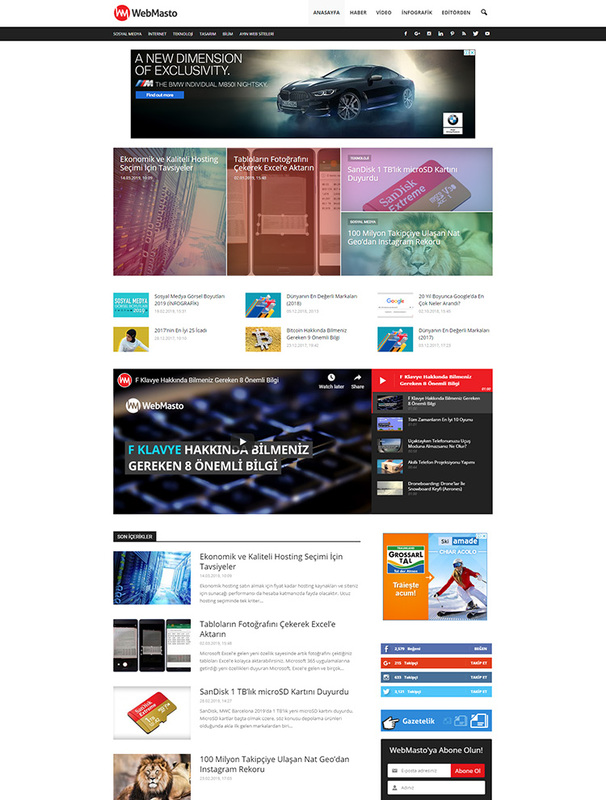 Delimiter is an Australian website that provides articles about the IT industry and local consumer technology events. "I am very pleased with the theme and the level of support that has been offered to me since I began using it." The Gadget Viper focuses on technology and product reviews. It contains articles about tech, phones, and gadgets. "I had in mind so many considerations starting from flexibility, speed, versatility, customization, intuitive options, code quality, compatibility, support, new releases, reputation, user base, price, and what not! Finally settled with Newspaper, I believe I made the right choice. Keep up the good work, friends!" 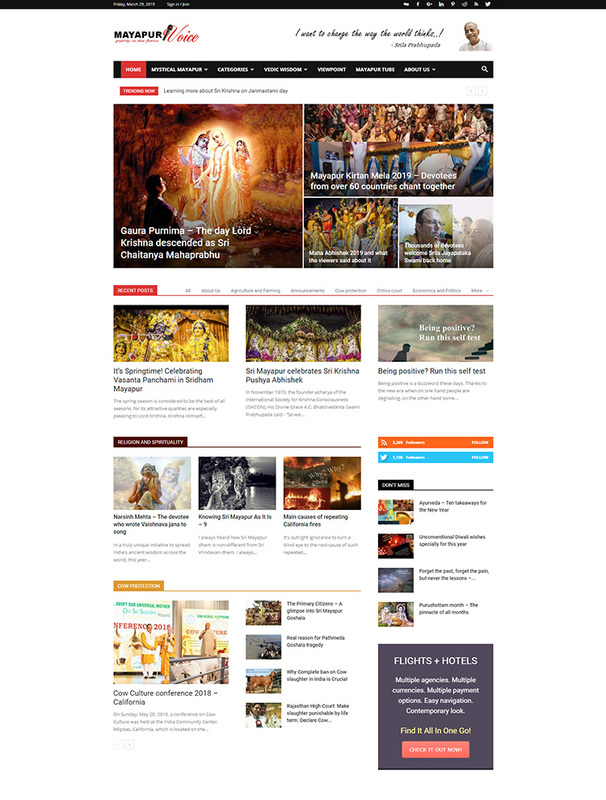 Mayapur Voice is set to inspire integrity and social value in all sectors of the Indian society, presenting spiritual news. "Awesome theme! So user friendly and pro features. Good job guys!" 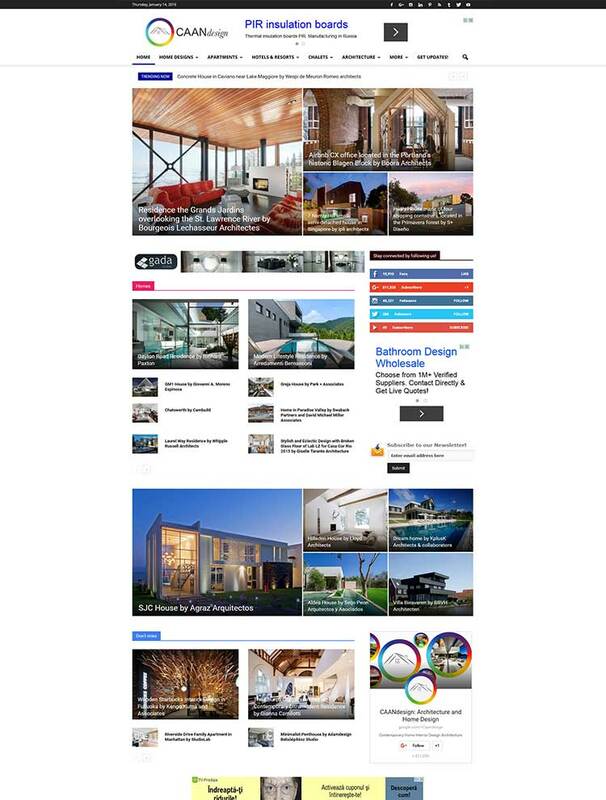 Founded on 2013, CAAN design is a beautiful website that provides full projects of houses, apartments and chalets. "Absolutely great especially since we kicked off without any expertise in WP or HTML. 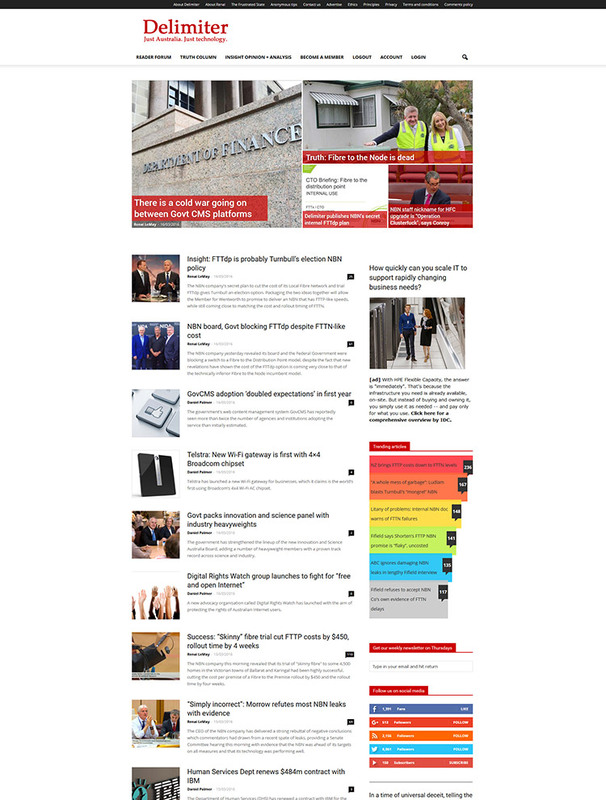 Newspaper made it easy which speaks volumes about the quality of this theme and TagDiv work." 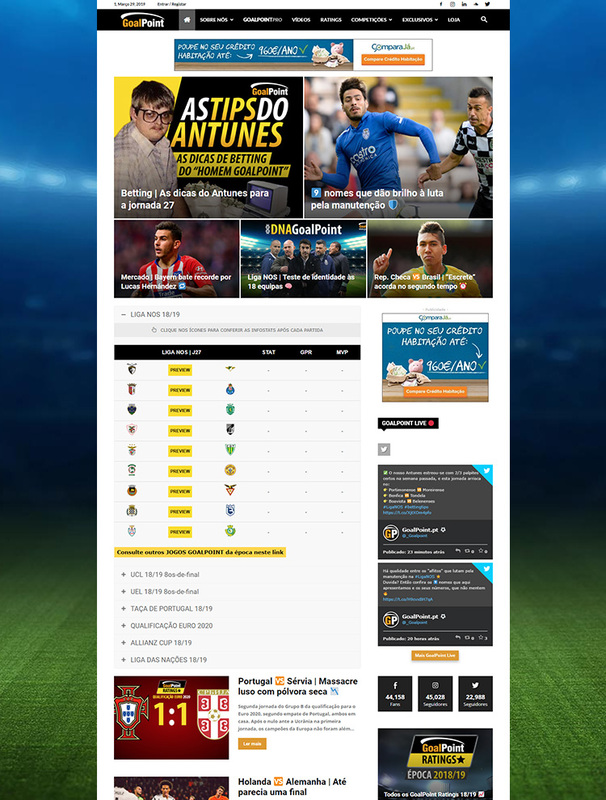 GoalPoint is a Portuguese specialized football website. It provide the general public with the best analysis and opinion in sports. "Newspaper is an amazing theme once you understand how everything works. Possibilities are unlimited!" 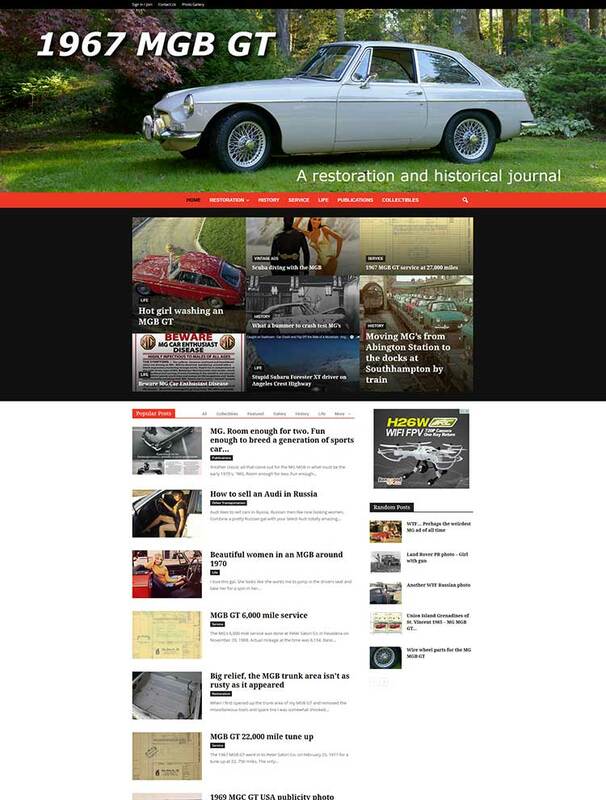 1967 MGB GT is a website dedicated to automotive and car restoration with useful information and news related to this topic. 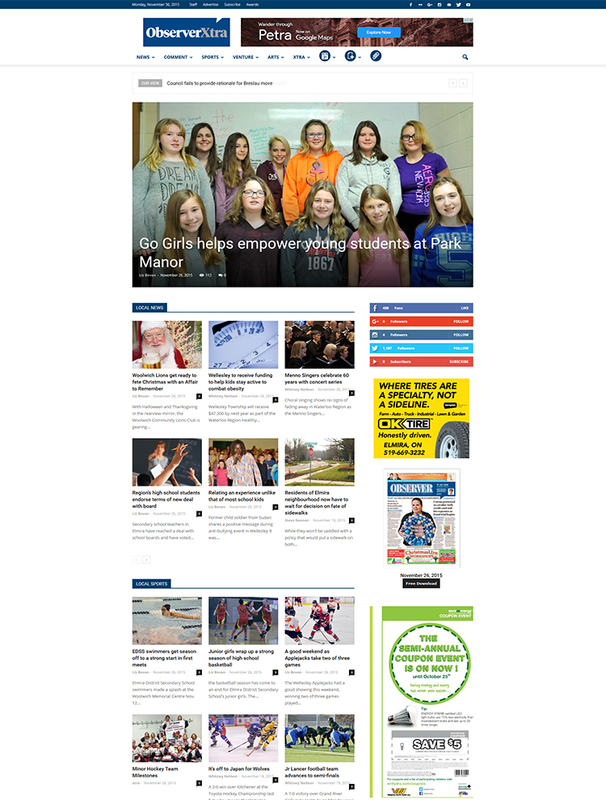 "I started a redesign over a year ago and changed themes 3 times prior to finding Newspaper 6. Exactly what I was looking for and has been super easy to work with. Very happy customer!" The Observer is a Canadian award-winning weekly community newspaper founded in 1996. The focus is on reporting relevant, 100% local news. "We have had an amazing time implementing the theme. We find it tends to always do exactly what we've needed it to do and even when it doesn't quite, we've been able to do some minor modifications. 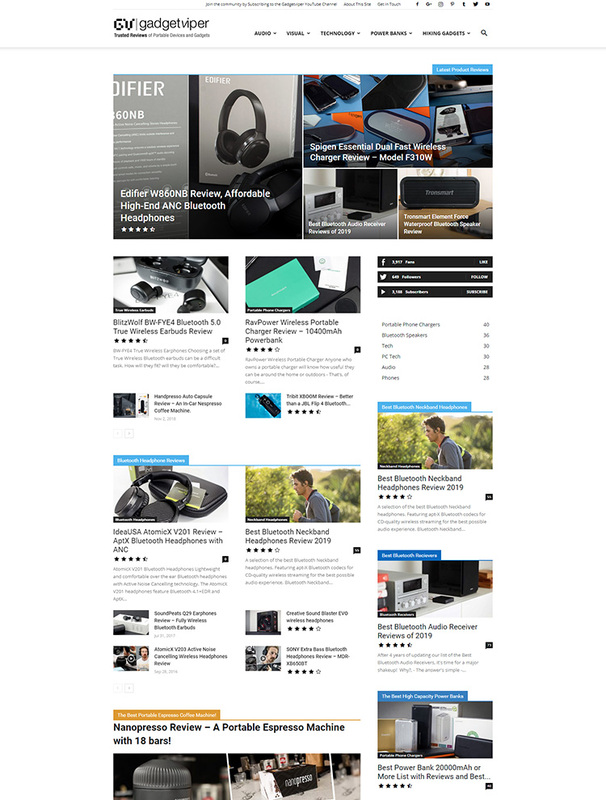 All in all, a top-notch, great-looking theme with plenty of customization options and a clean design." 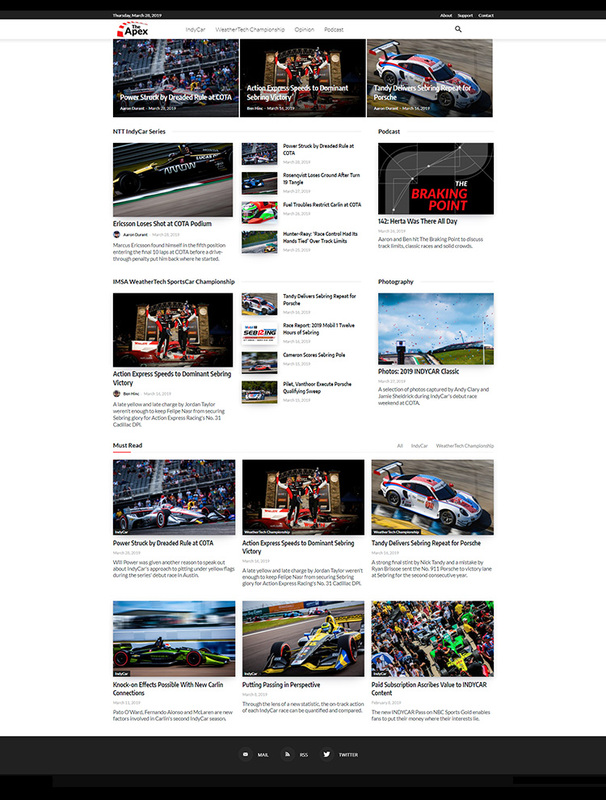 The Apex is an American news website founded by passionate sport journalists, covering motor-sports championships, events and more. "Newspaper is the "Swiss Army Knife" of the WordPress world." Webmasto is a Turkish digital content platform specialized on social media, web technologies, gadgets, advertising and marketing systems. "Great theme. I have actually built another three websites myself but none of them gave me different possibilities to create an amazing website like Newspaper did." 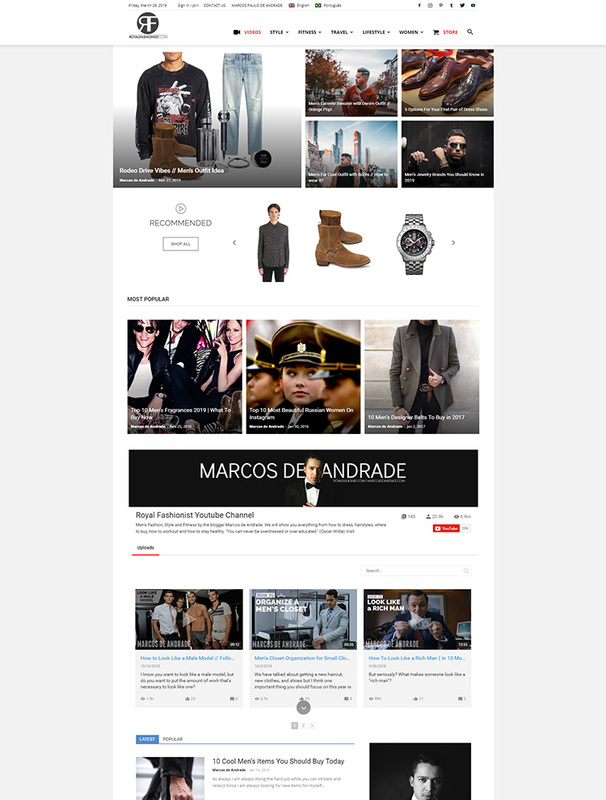 Royal Fashionist is men's fashion blog and online shop founded by the brazilian blogger Marcos Paulo de Andrade. 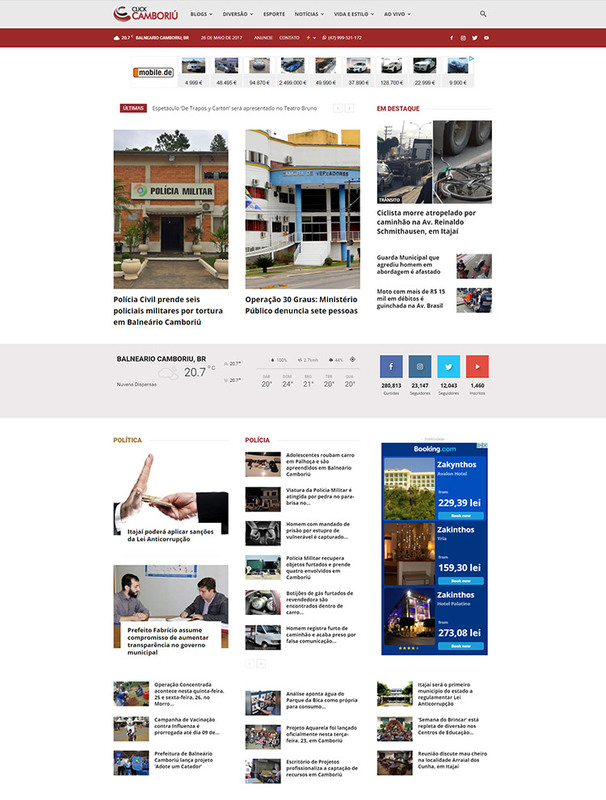 Click Camboriu is a Brazilian regional news site. The portal publishes news from the north coast of Santa Catarina. "I've been with you since the start of Newspaper 4 - The theme allows me to create a truly unique entertainment website for my visitors. The layout, designs and custom sections of the site allows me to be creative yet efficient with upgrades, so I can keep up with the changing 'times." 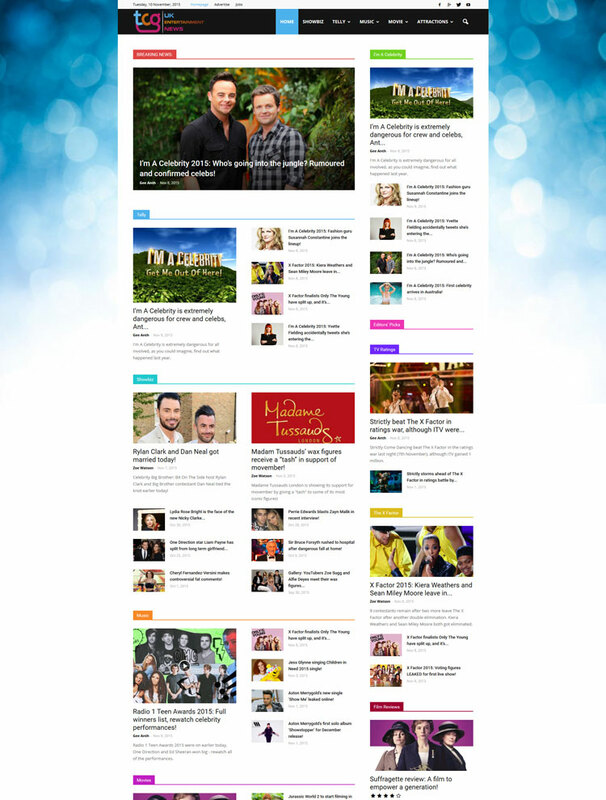 TwitCelebGossip is an online portal for all the latest UK entertainment news. It covers all areas of showbiz.